CHECHESMITHNATION : Check Out This Three Shades Of Yemi Alade...Which Look Is Your Fave? 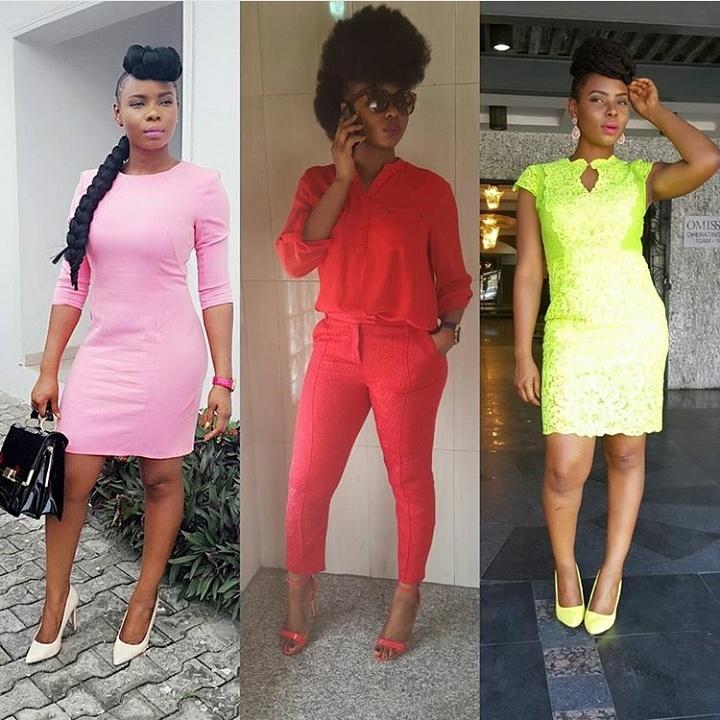 Check Out This Three Shades Of Yemi Alade...Which Look Is Your Fave? First Look: Pink form fitted dress paired with white pumps. Third Look: Lemon lacy dress on lemon pumps. I will go with the second look... I love the pose, her hair and red outfit. She looks great!! !